Our boy down in Mexico, Da Shiffa, has been up to his usual tricks of creating something beautiful for you. He’s a kind soul. We love him for it. 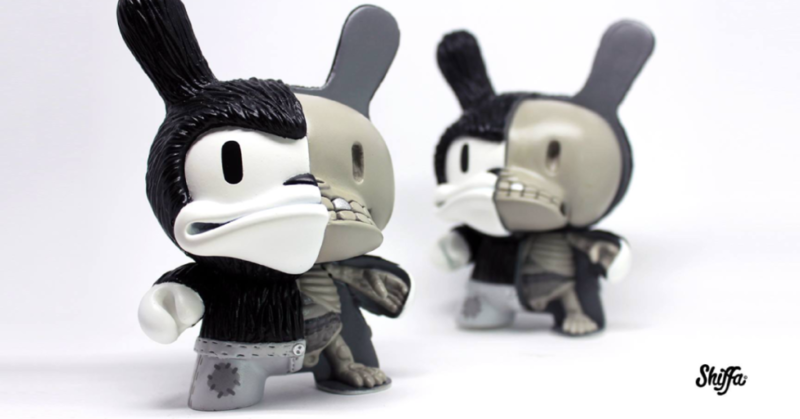 So today you can go add to your Shiffa collection with his latest custom Kidrobot 5inch Dunny. Titled ‘unknown’ for an unknown reason. Ha. These 5inch customs are now available to purchase for $340 each (£260). Not sure on the run size of ‘unknown’ but we are guessing two. You can pick up this purchase directly from the Shiffa online store HERE . Check out Shiffa on Instagram HERE.